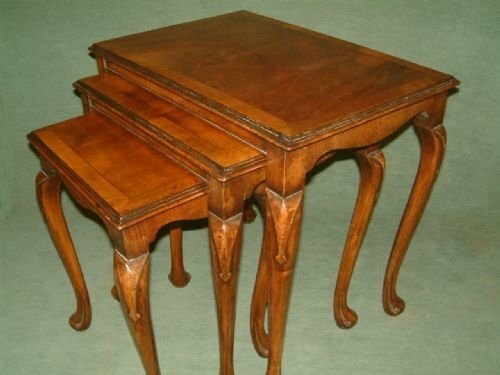 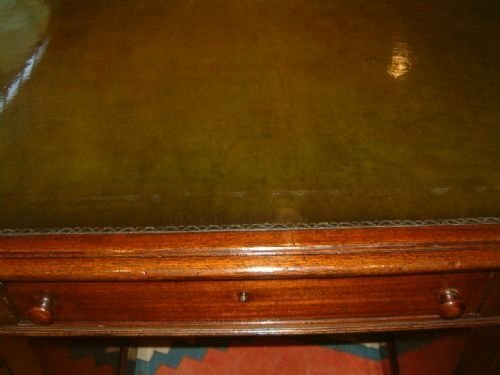 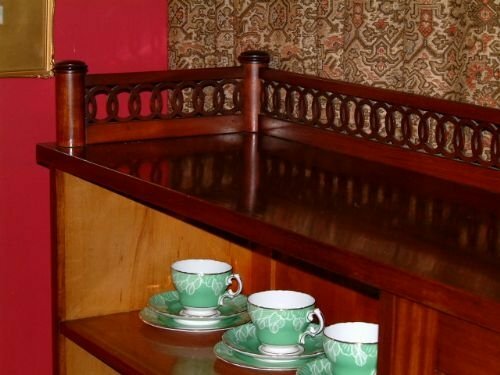 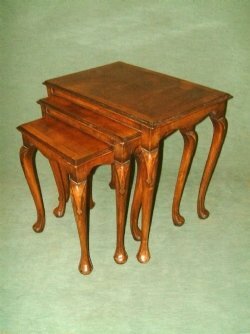 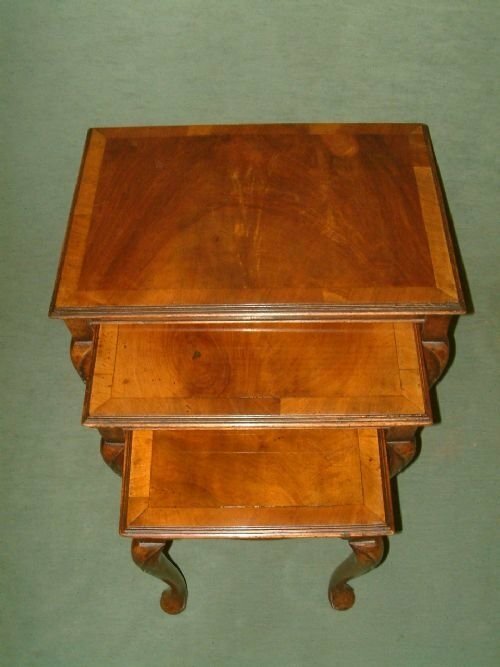 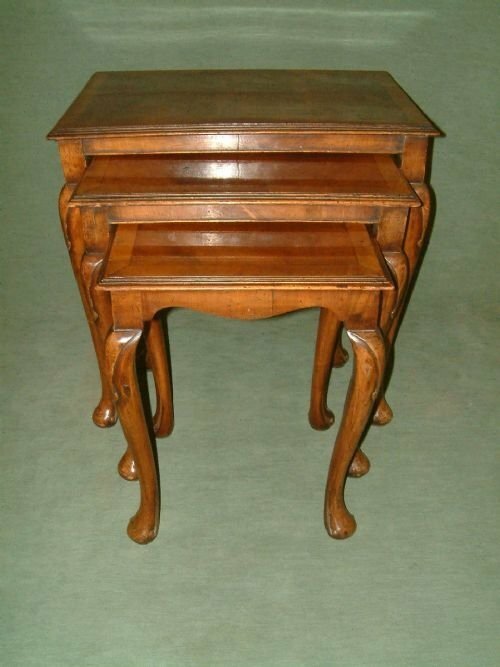 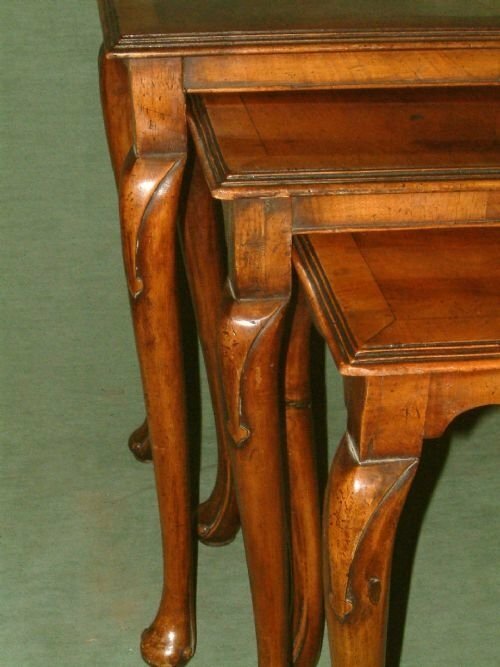 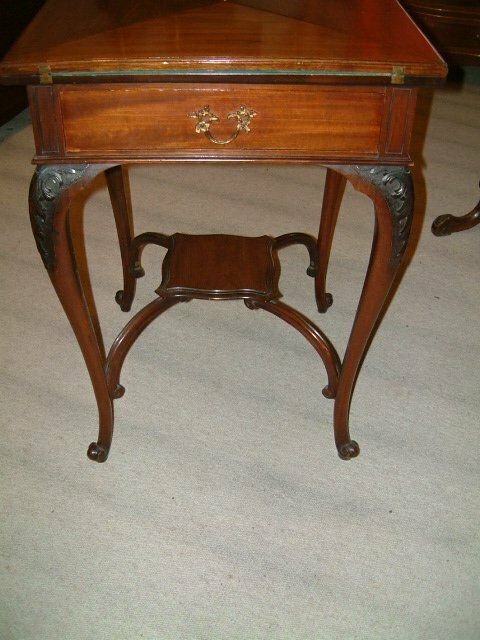 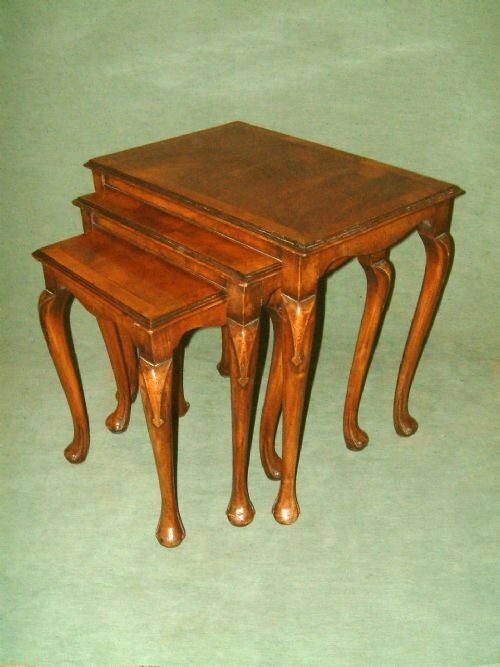 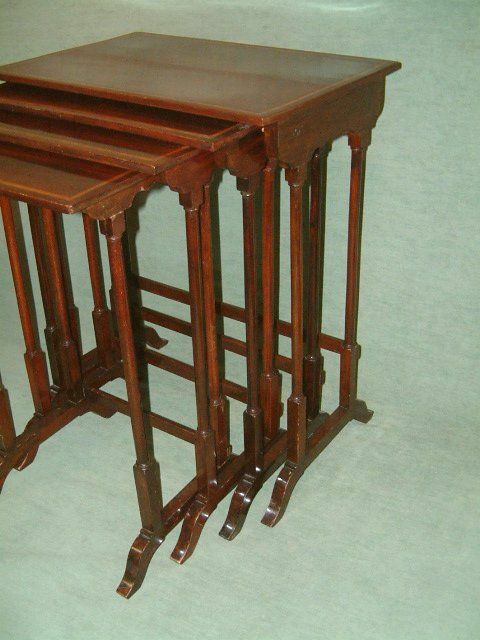 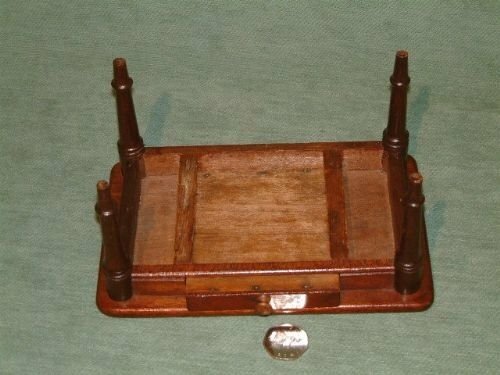 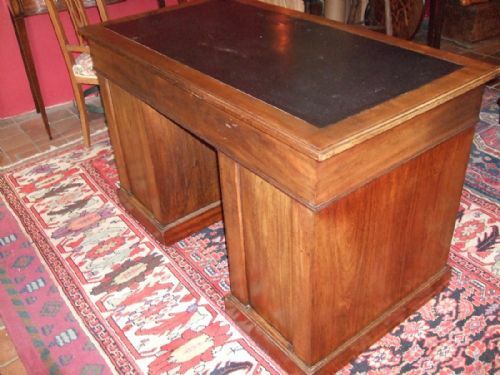 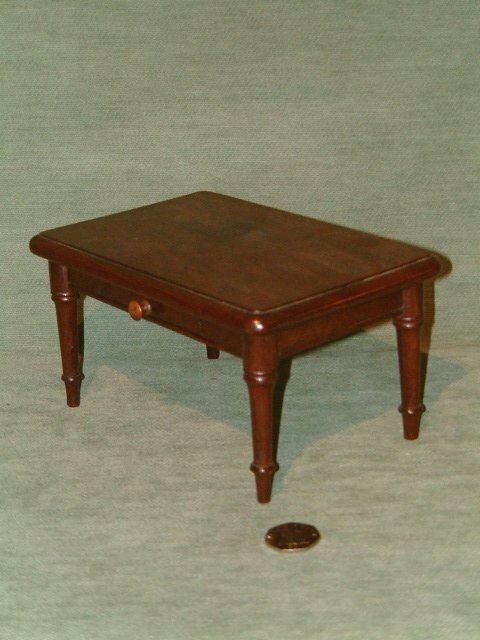 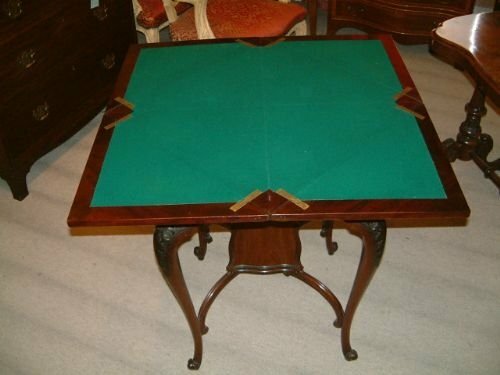 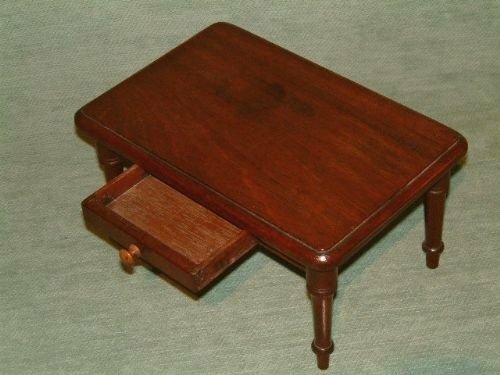 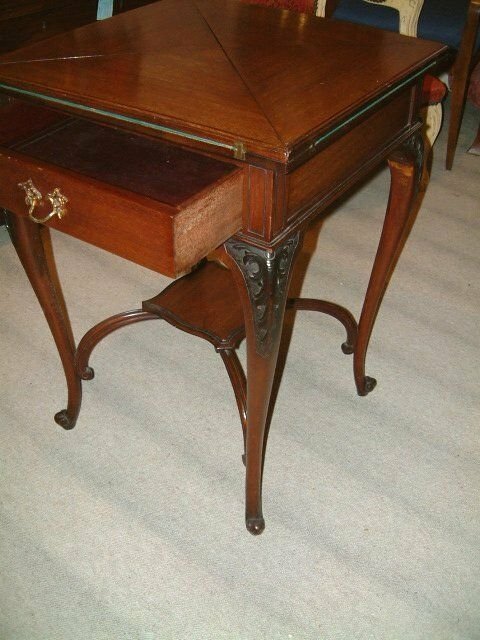 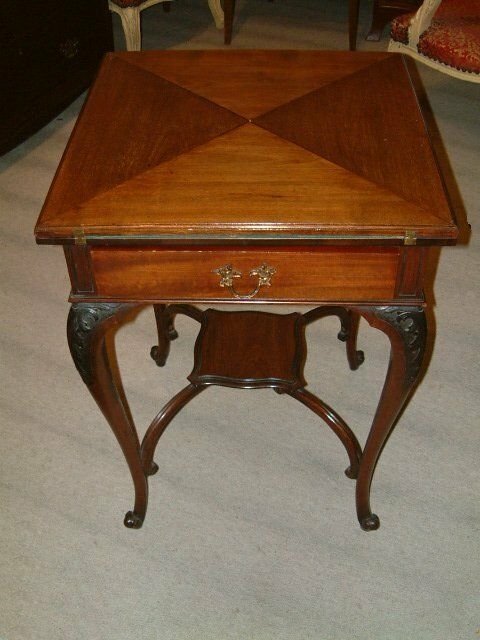 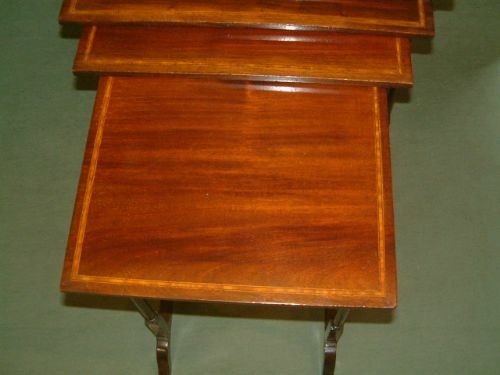 Edwardian Mahogany Fold Over Card Table the Foldover Top with Green Baize above A Long Drawer with Rococco Brass Handle, Supported on Nicely Carved Cabriol legs United with Platformed Stretchers. 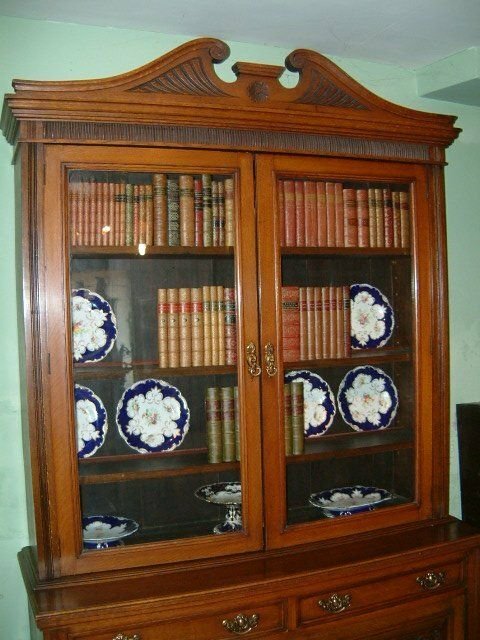 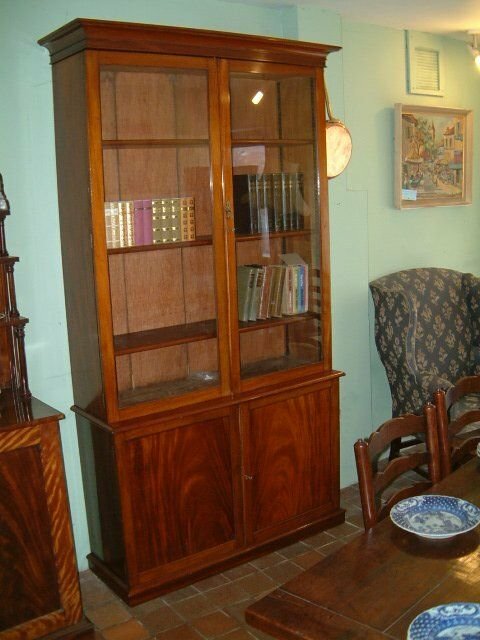 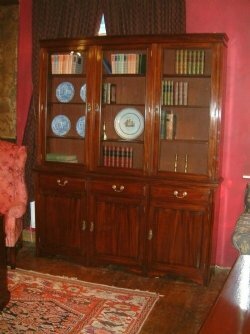 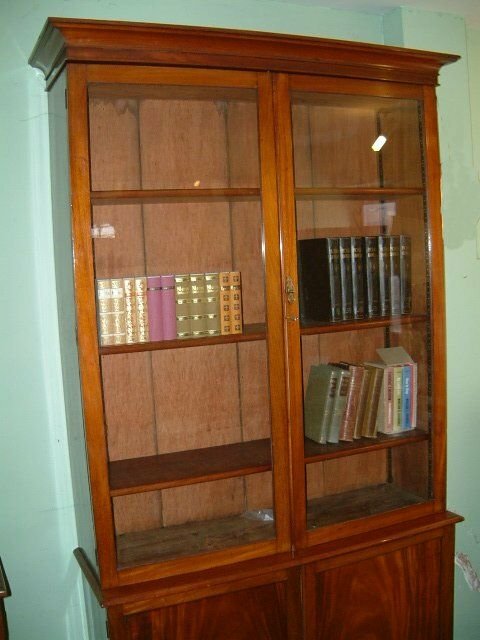 Edwardian Mahogany Glazed Bookcase Nice Colour & Figuring to the Mahogany. 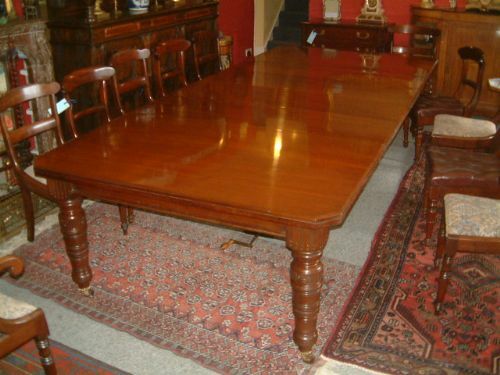 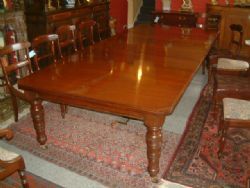 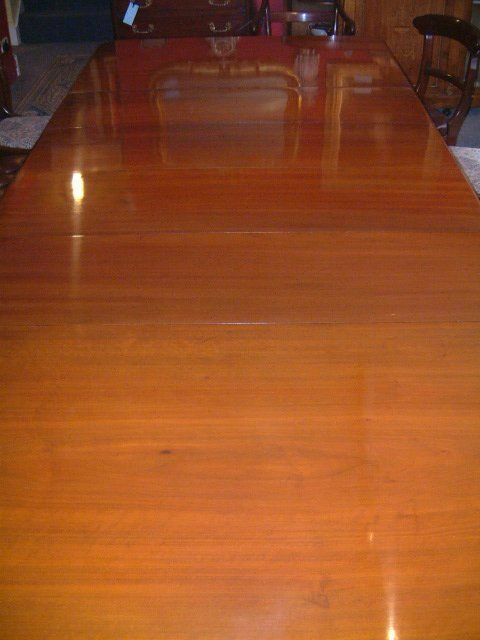 Edwardian Mahogany Large Windout Dining Table with 4 Extra Leaves, Good Colour to the Mahogany Supported on Turned & Reeded Legs with Brass & China Castors. 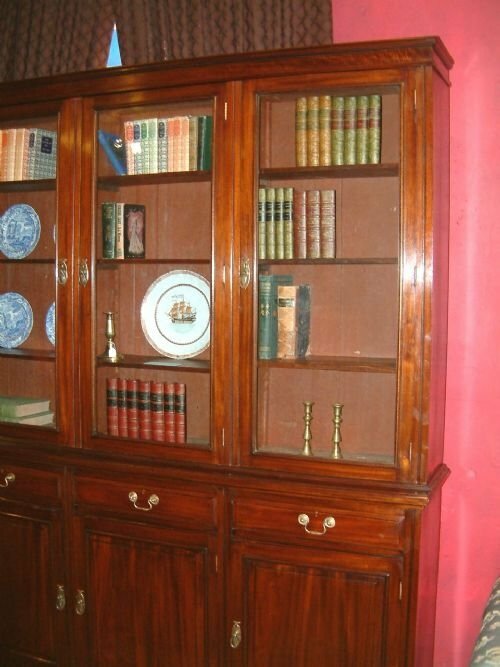 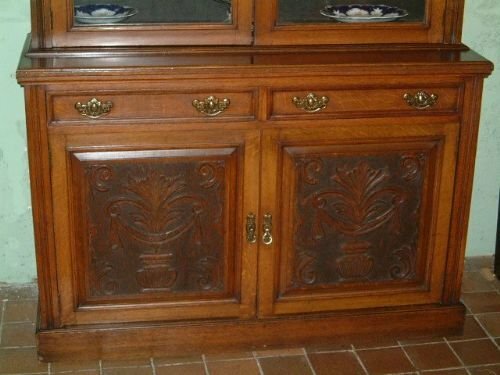 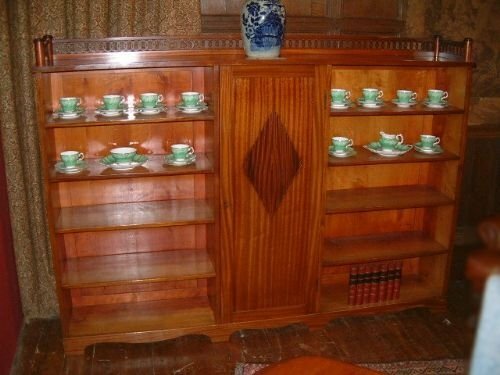 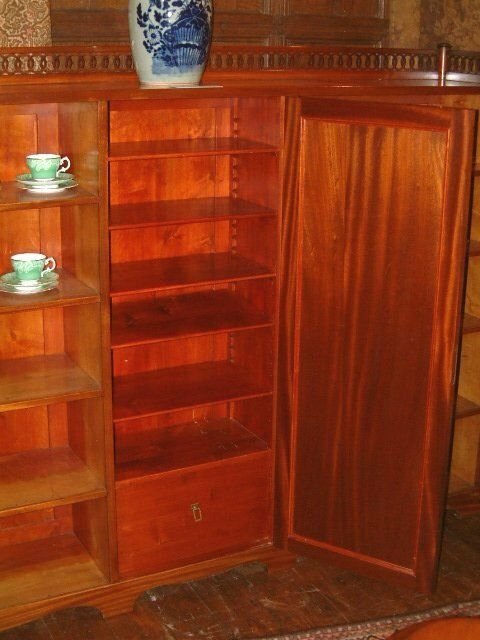 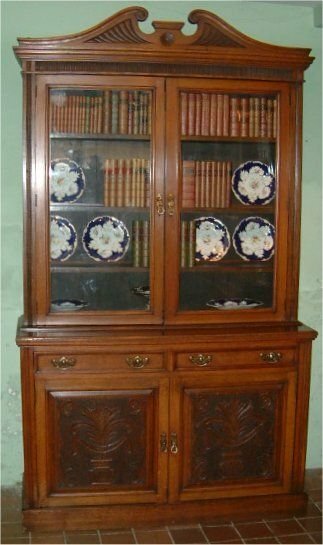 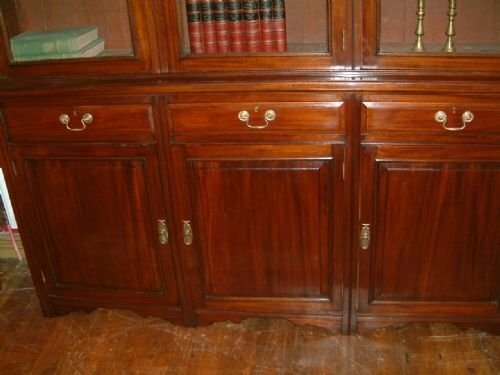 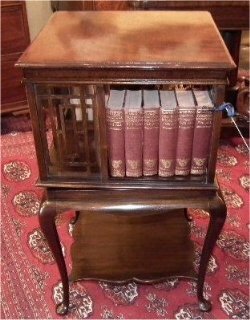 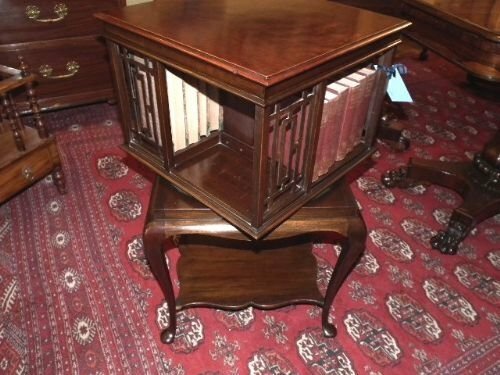 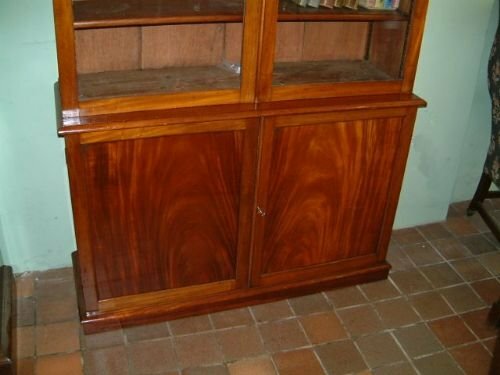 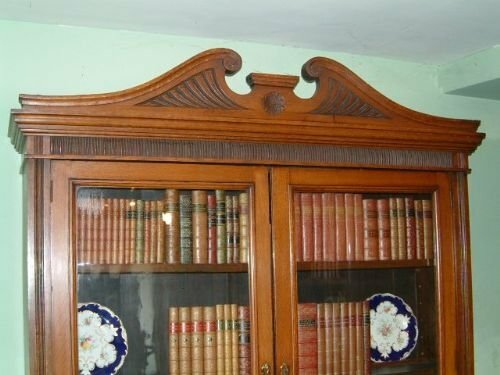 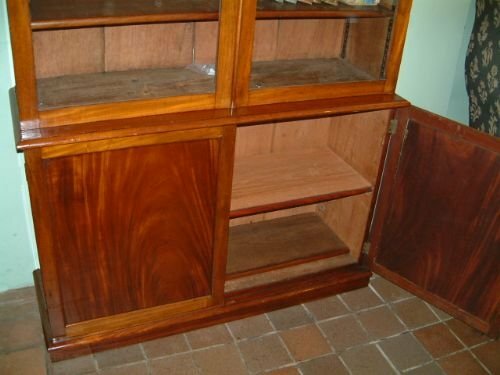 Edwardian Mahogany Open Bookcase excellent quality The hooped Gallery above twin open book or Display Shelves to the Centre Cupboard Door inset with Reeded Lozenge shape panel enclosing shelves and drawer. 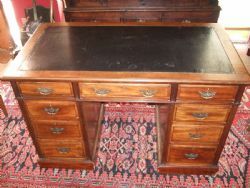 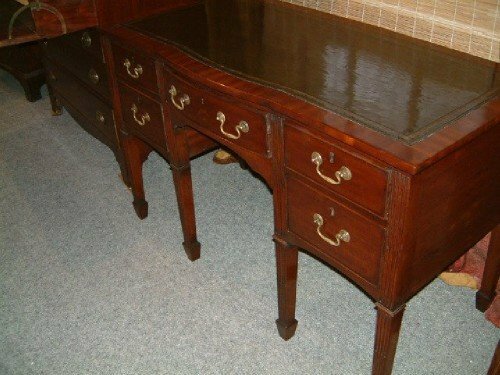 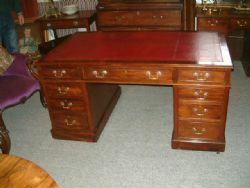 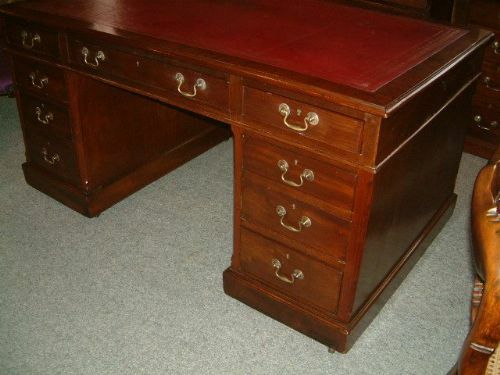 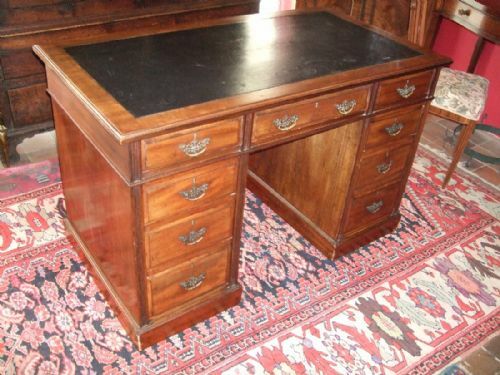 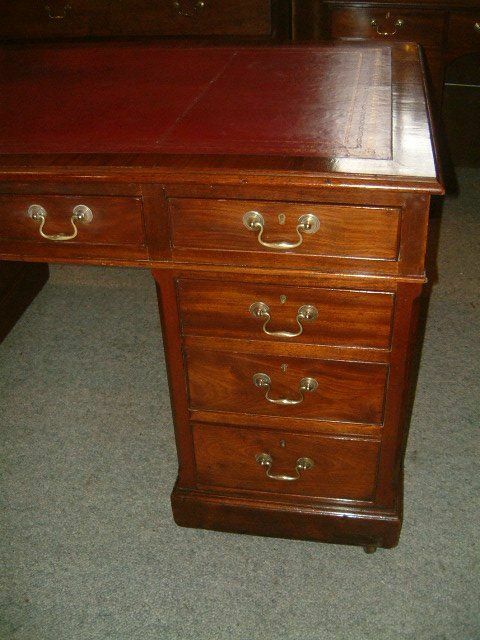 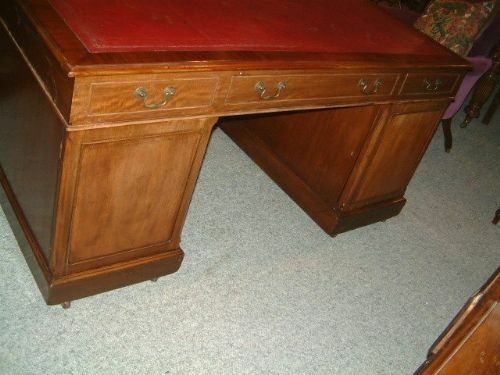 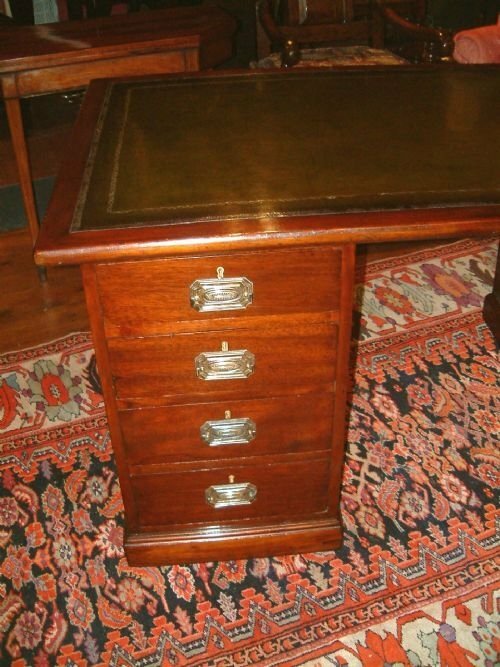 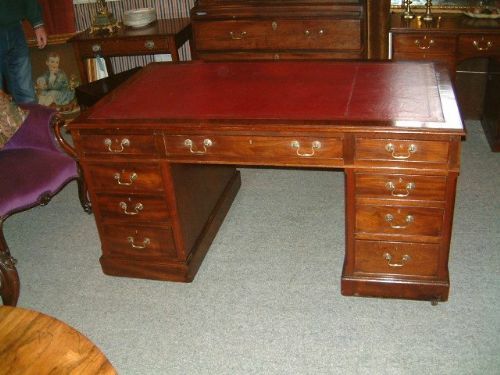 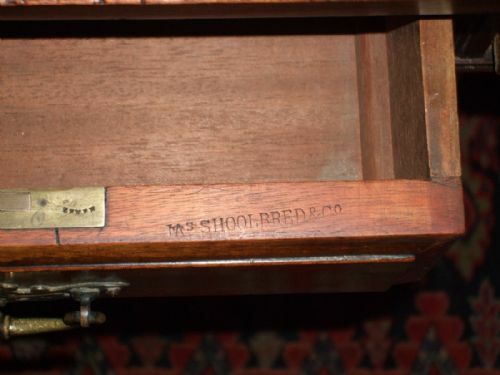 Edwardian Mahogany Partners Writing Desk with Red Leather & Gold Tooled Top Cupboards to rear. 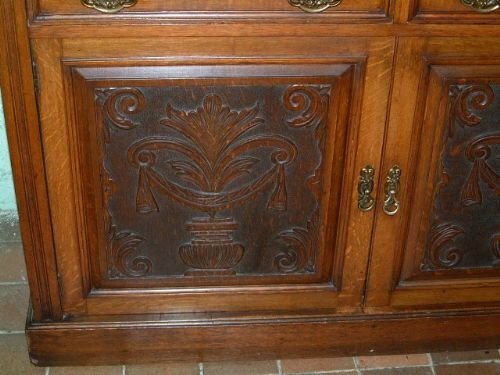 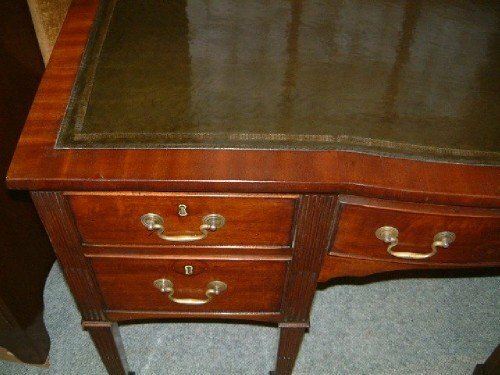 Edwardian Mahogany Pedestal Desk the Green & Gold Tooled Leather Writing Surface above Two Pedestals with Four Drawers Each, later Brass Handles. 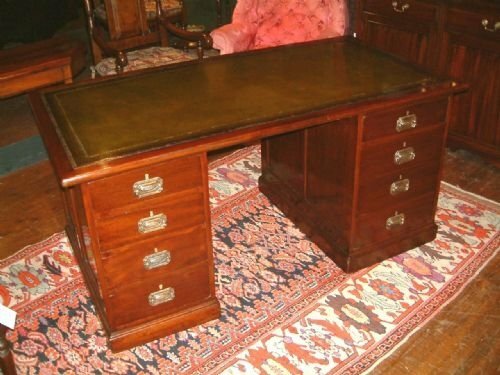 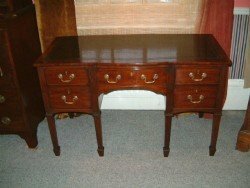 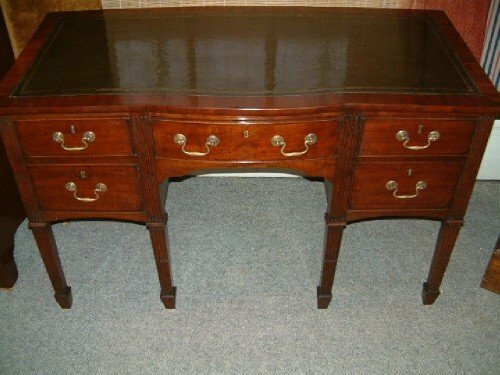 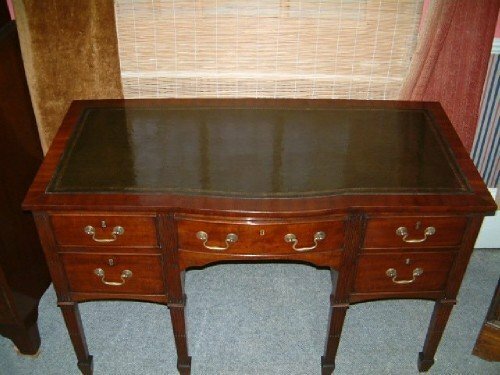 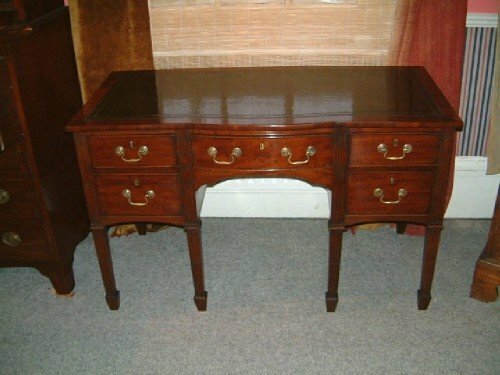 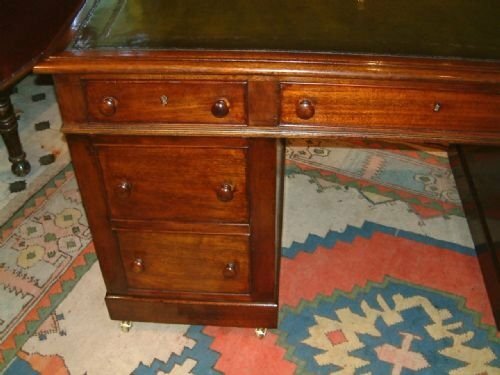 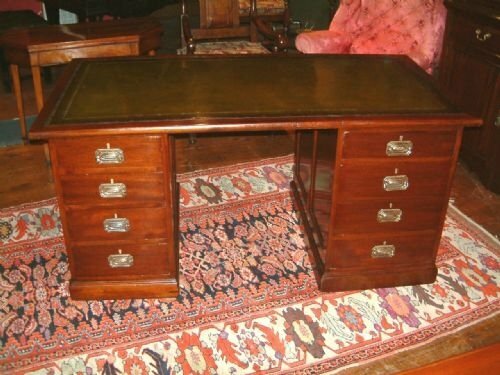 Edwardian Mahogany Pedestal Desk the Green Leather Tooled Writing Area above Two Short & One Long Drawers Supprted on Twin Pedestal with Two Drawers Each & with Wooden Knobs, Supported on Later Brass Casters. 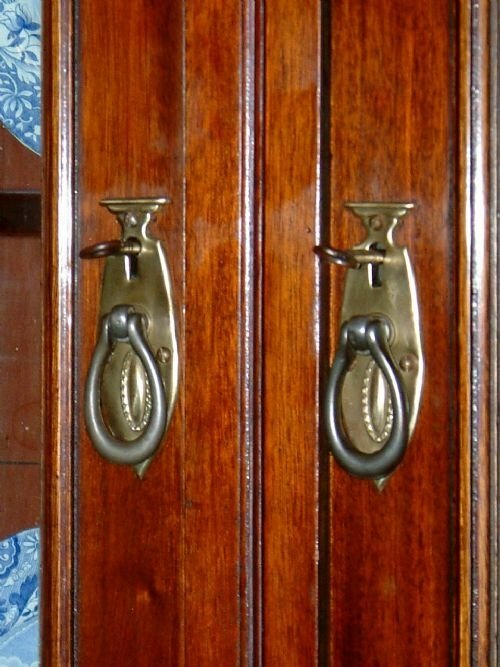 LOvely Rich Colour to the Figured Mahogany. 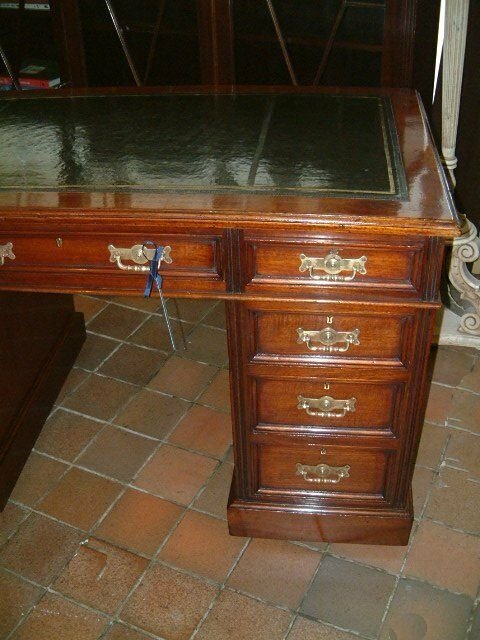 Edwardian Mahogany Pedestal Desk With Green Leather Top & Gold Tooling & Brass Handles. with Lower Shelf, Supported on Cabriol Legs. 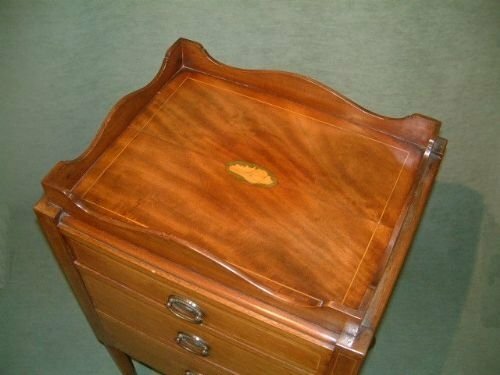 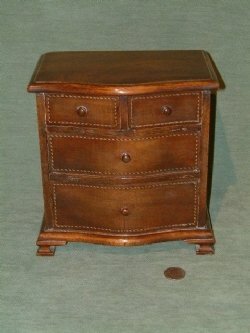 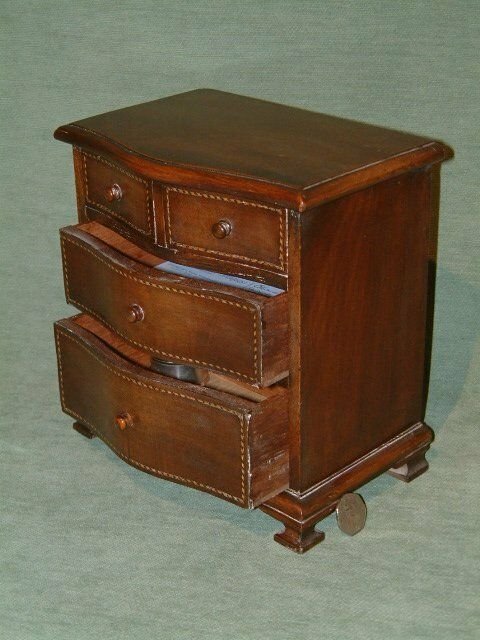 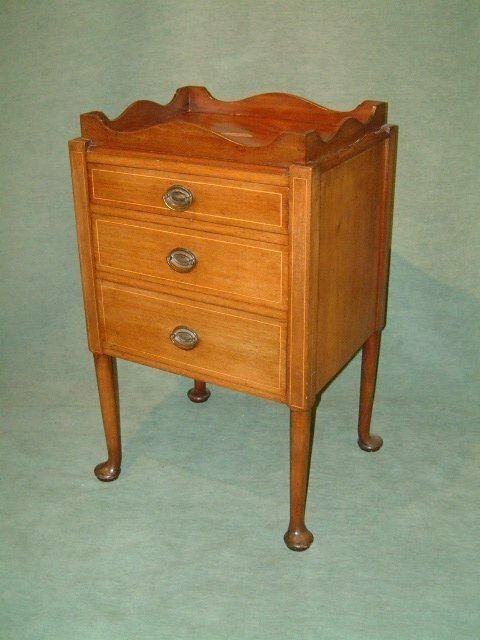 Edwardian Mahogany Tray Top Bedside Chest Table with Three Drawers Below a Tray Top with Shell & Line Inlay Standing on Pad Feet. 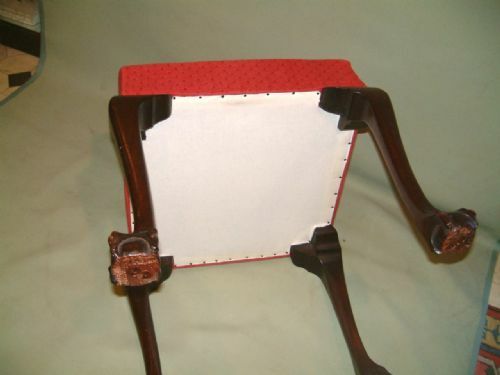 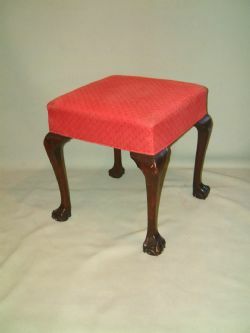 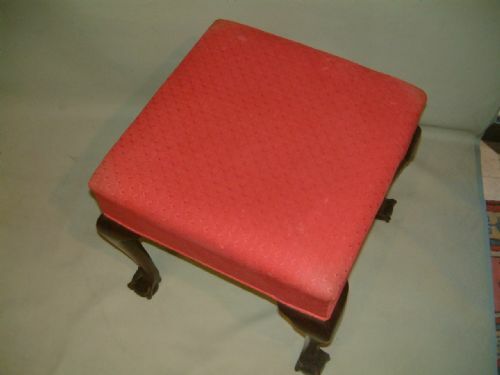 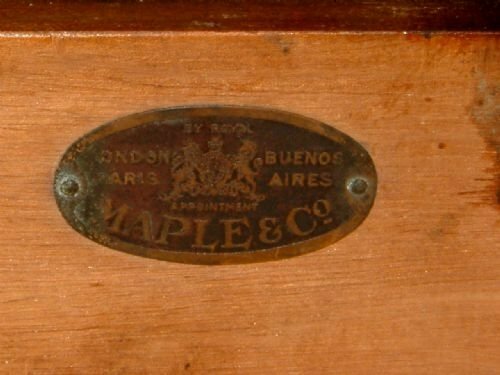 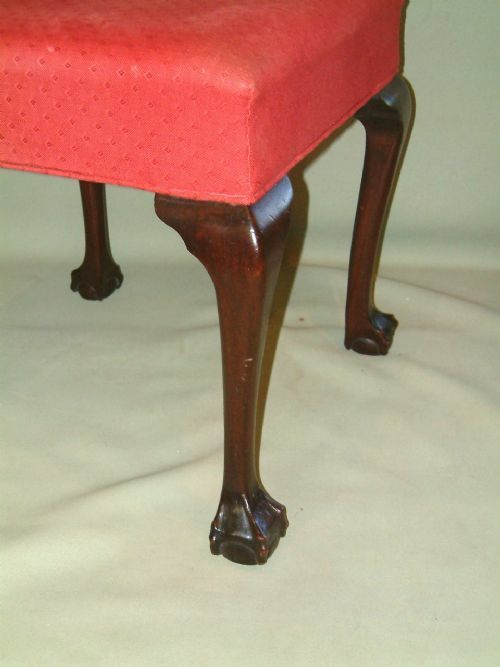 Edwardian Mahogany Upholstered Stool the Cabriol Legs with Ball & Claw Feet. 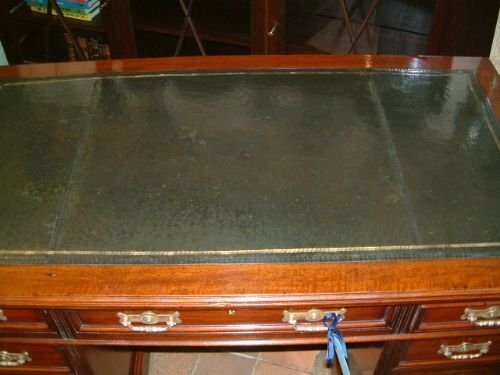 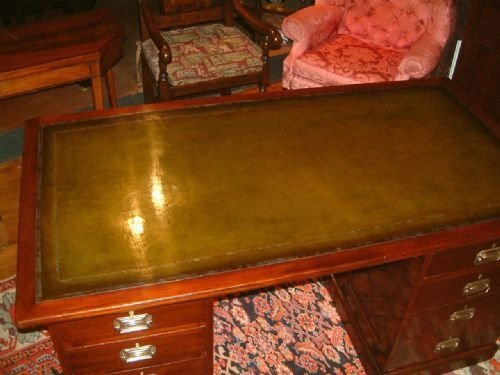 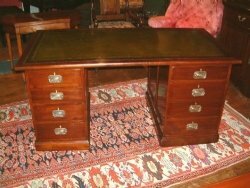 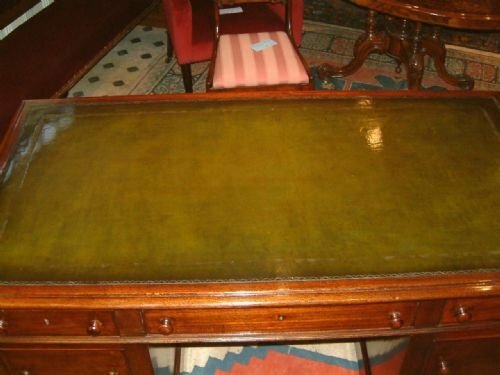 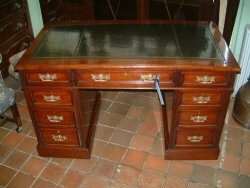 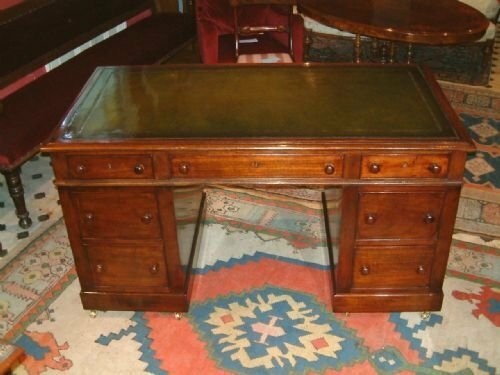 Edwardian Mahogany Writing Desk With Gold Tooled Green Leather Top with Original Brass Handles. 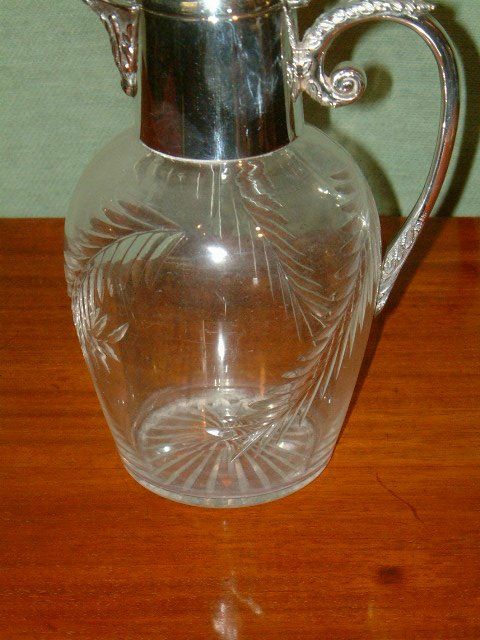 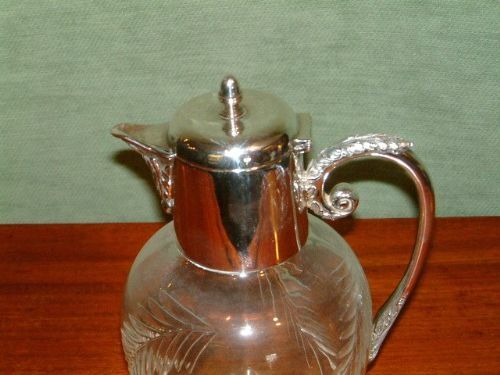 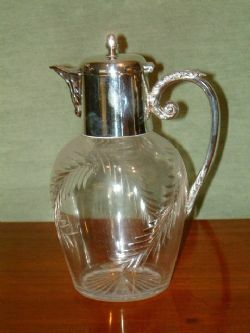 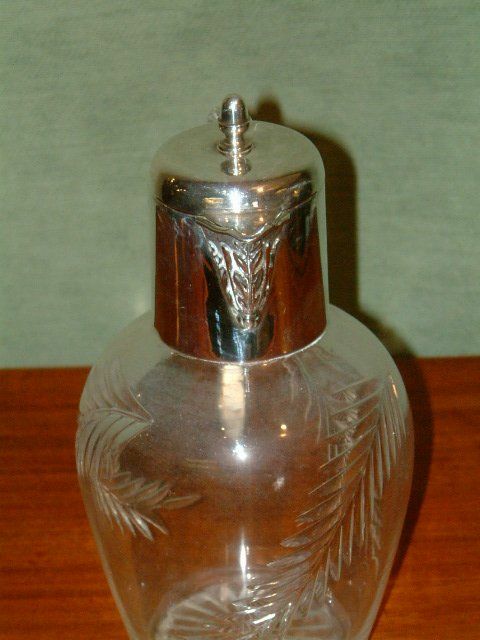 Edwardian Mappin & Webb Silver Plated Claret Jug. 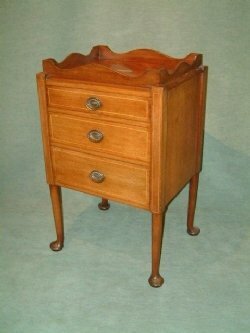 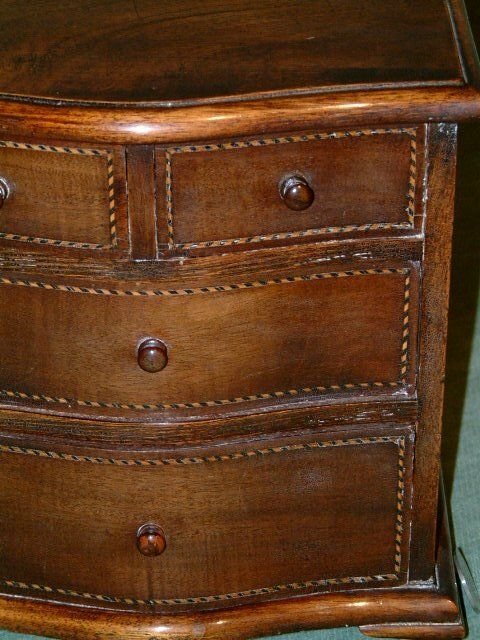 Charming Apprentice Piece with Inlay to drawer fronts.Ogee Bracket feet. 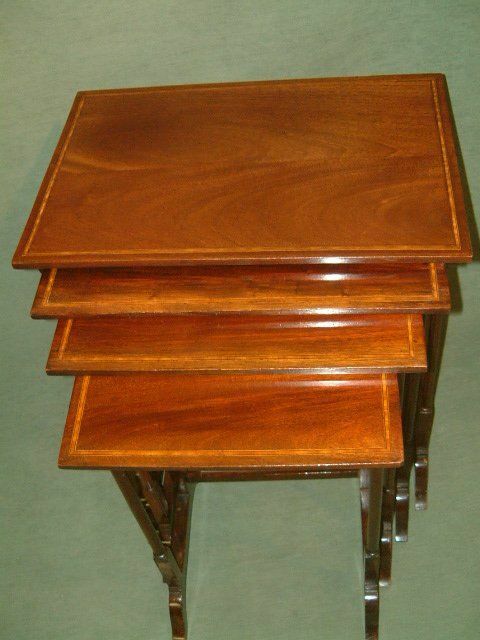 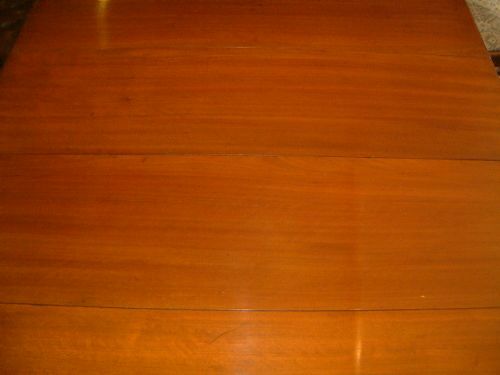 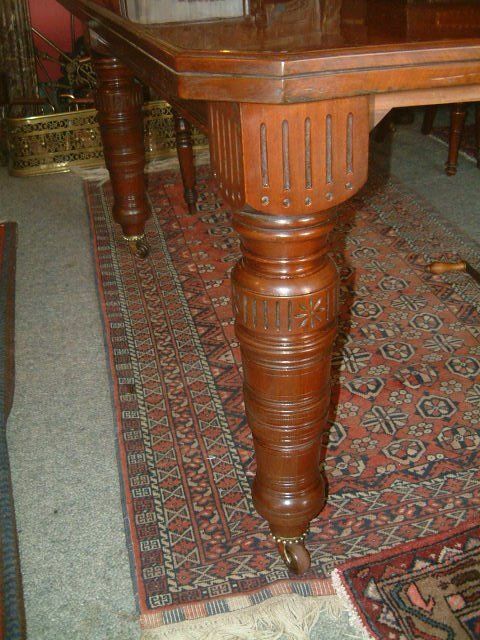 Nice colour mahogany top standing on balluster legs. 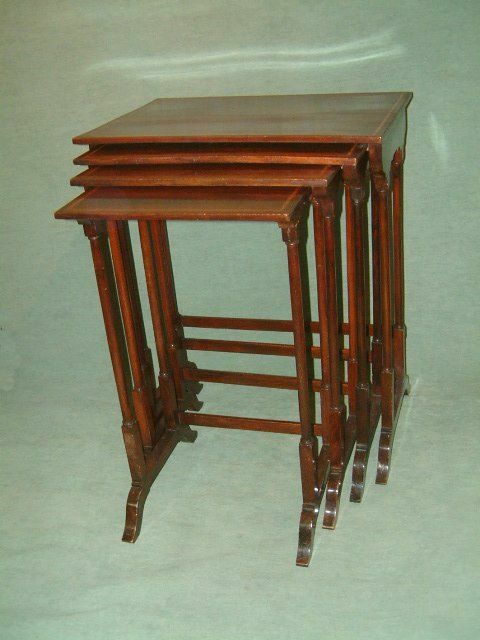 Edwardian Nest of Three Walnut Occasional Tables Each with Crossbanded Top Supported on Cabriol Legs with Carved decoration.